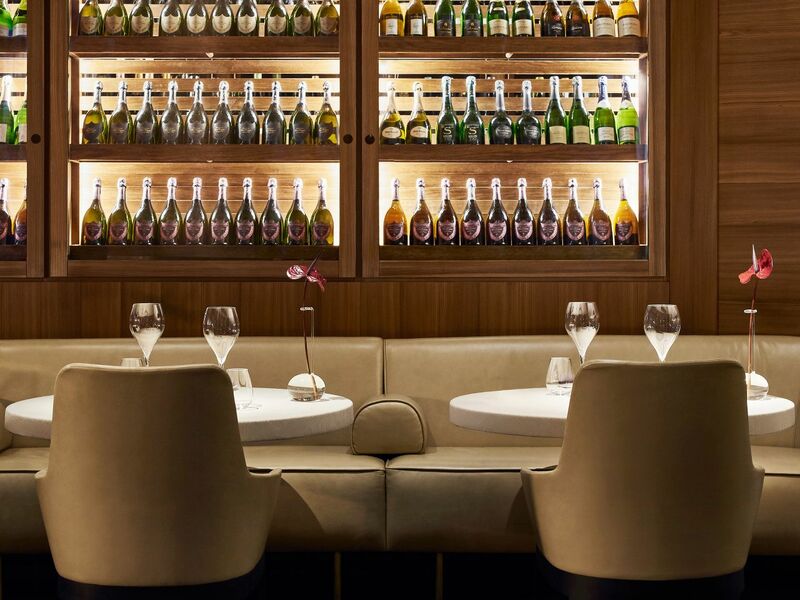 At Park Hyatt Milan, take your pick from four elevated food and drink outposts throughout your stay. Dine on gourmet Italian cuisine at VUN Andrea Aprea, the two Michelin-starred restaurant helmed by Executive Chef Andrea Aprea. Mio Lab is the exclusive cocktail bar of Park Hyatt Milan, which provide exellent service, cocktails signed by Oscar Quagliarini and classic aperitivi. Retreat to Dehors, our stylish outdoor lounge, and enjoy an aperitif with a view, while La Cupola is the All Day Dining outlet of the hotel, where it's always possible to dine with a gastronoimcal proposal by Andrea Aprea. La Cupola represents, at the same time, the ideal place where to relax or to have a meeting. Should you wish to dine in the comfort of your own guestroom, our hotel offers delectable room service options 24 hours a day. Please note that valet parking at our restuarants and bars is complimentary 24 hours a day, while self-parking for one to four hours costs €30.00 and anywhere up to 24 hours is €50.00. Enjoy fine dining at the two Michelin-starred restaurant VUN Andrea Aprea, featuring contemporary gourmet cuisine in a refined setting. 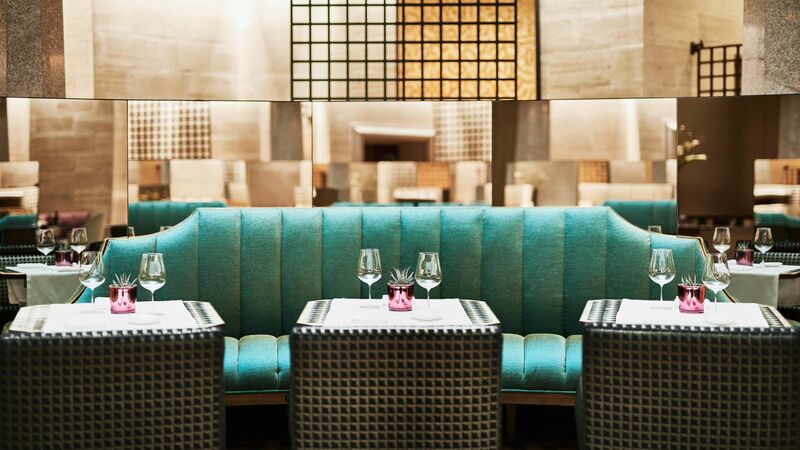 Helmed by Executive Chef Andrea Aprea, the restaurant offers a sophisticated twist on Italian classics, each infused with locally sourced ingredients—indulge in dishes including salt cod, linguine from Gragnano, and red prawn with poplar mushrooms. In the Milanese dialect, VUN means “one”, representing both the restaurant’s close bond with the city of Milan and the chef’s inclusive cooking philosophy, which emphasizes the important role that Italian culinary traditions and Neapolitan heritage play in contemporary dining. 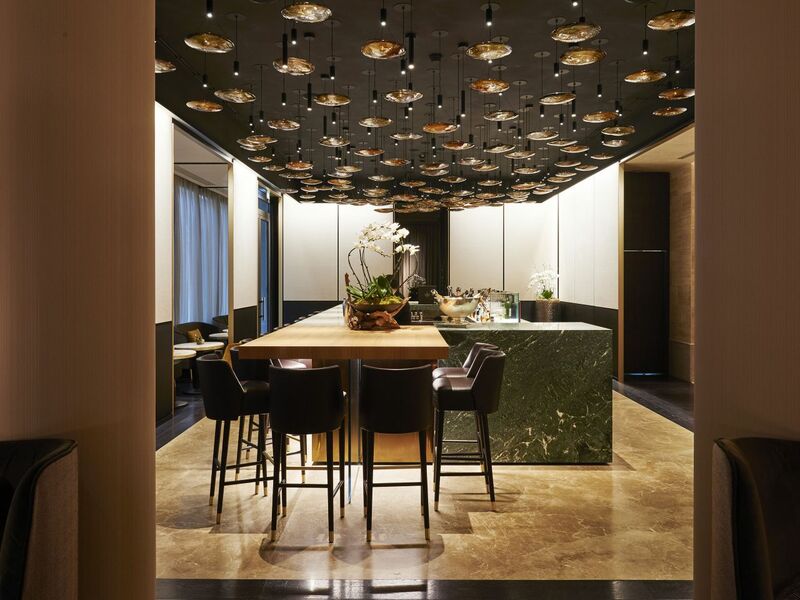 Set within the resplendent settings of Park Hyatt Milan, the stunning La Cupola Lounge welcomes guests to unwind at all hours of the day beneath its nine-meter-tall glass cupola. Begin the morning on a pleasant note with our extensive breakfast buffet, featuring delectable cuisine, fresh-squeezed juices, and made-to-order smoothies. Try Chef Andrea Aprea’s creations at lunch or dinner while in the evening, sink into an overstuffed chair with a good book, or mingle with colleagues over cocktails. 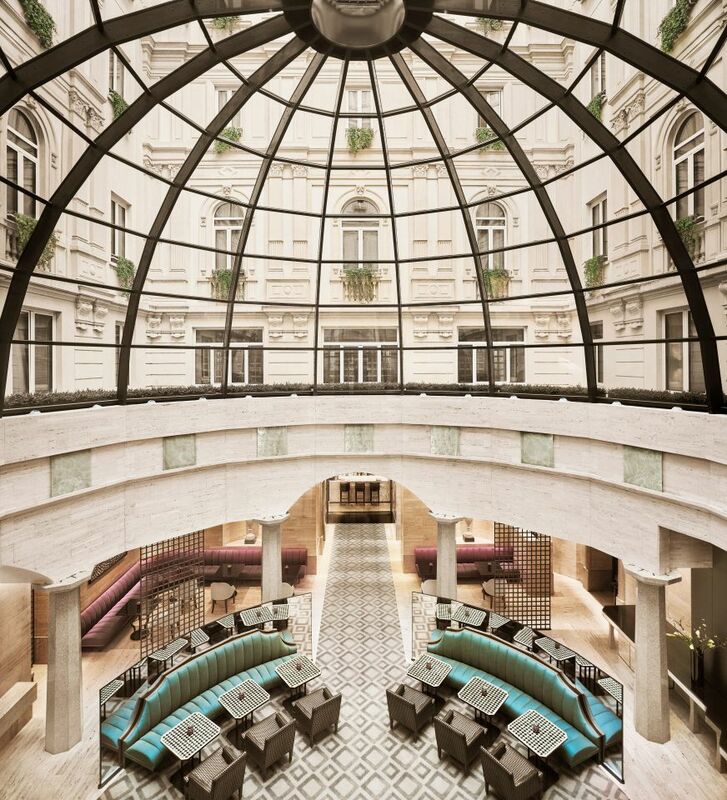 La Cupola Lounge is the ideal, centralized meeting place in Milan for hotel guests and locals alike. AVAILABLE MONDAY TO FRIDAY FROM 7:00 AM TO 10:30 AM. AVAILABLE EVERY DAY FROM 11:00 PM TO 12 AM. Mio Lab is one of the most renowned bars in Milan, a noteworthy local for refined drinkers who return often to celebrate the great tradition of hotel cocktail bar. Mio Lab stands out for after-dinner and the aperitifs offering great classics and whimsical variations of the bar's signature cocktails designed by Oscar Quagliarini, paired with a pintxos selection. 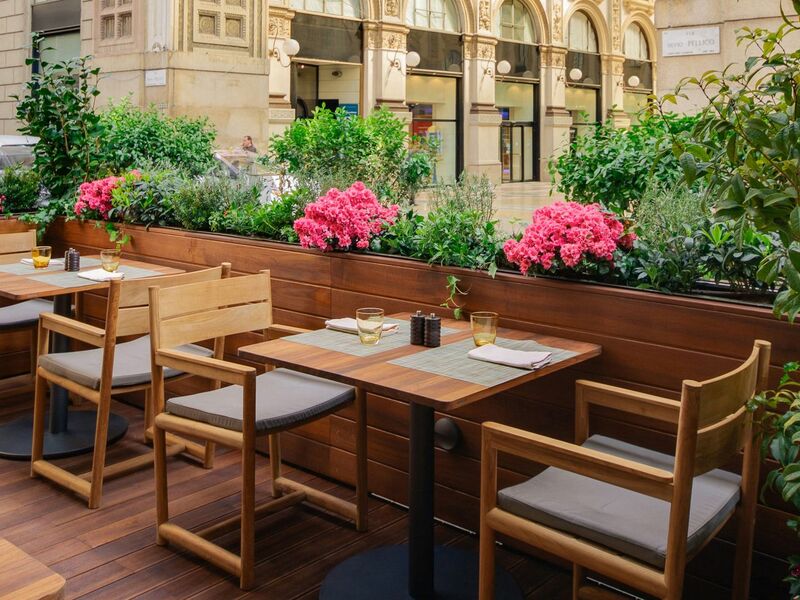 Dehors—an authentic Milanese aperitivo set in a cozy outdoor setting—is an idyllic spot to cap off your evening in Milan. An extension of neighboring Mio Lab, this stylish lounge at Park Hyatt Milan offers unparalleled views of Galleria Vittorio Emanuele II. Enjoy a fresh cocktail accompanied by delicious pintxos created by our Executive Chef Andrea Aprea. Because Dehors offers an experience that can only be reveled in outdoors, it is only open during the spring and summer seasons. 5:00 P.M. –1:00 A.M. during spring and summer months only. The Dehors will close starting from October 31 until Spring season.